Home Promotional Events The Breakfast Conversation: The Role of Women in L.A. The Breakfast Conversation: The Role of Women in L.A.
On Thursday, June 12, Los Angeles magazine, in partnership with Mount St. Mary’s College, hosted the Breakfast Conversation Series at Public Kitchen and Bar at The Roosevelt Hotel. 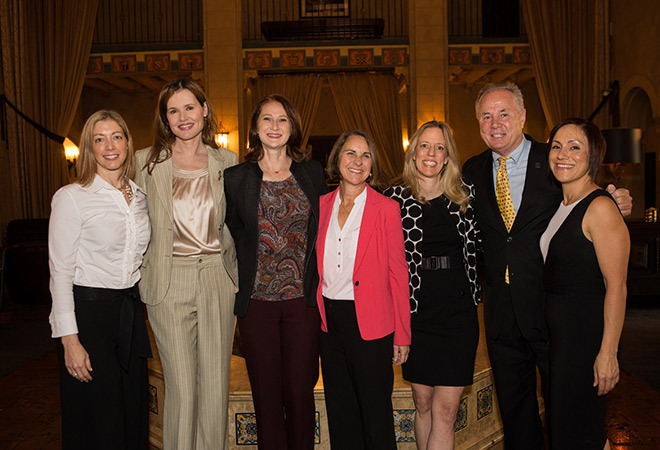 The panel featured Los Angeles magazine’s Editor-in-Chief Mary Melton with influential women including First Lady of L.A. Amy Elaine Wakeland, Mount St. Mary’s College President Dr. Ann McElaney-Johnson, and Academy Award® winning actor Geena Davis. The morning discussion focused on women’s leadership and gender roles in Los Angeles. This discussion is made possible with the assistance of City of Los Angeles Commission on the Status of Women.